I love this black and gold striped fabric. Sadly, I haven’t been able to find it for some time now. 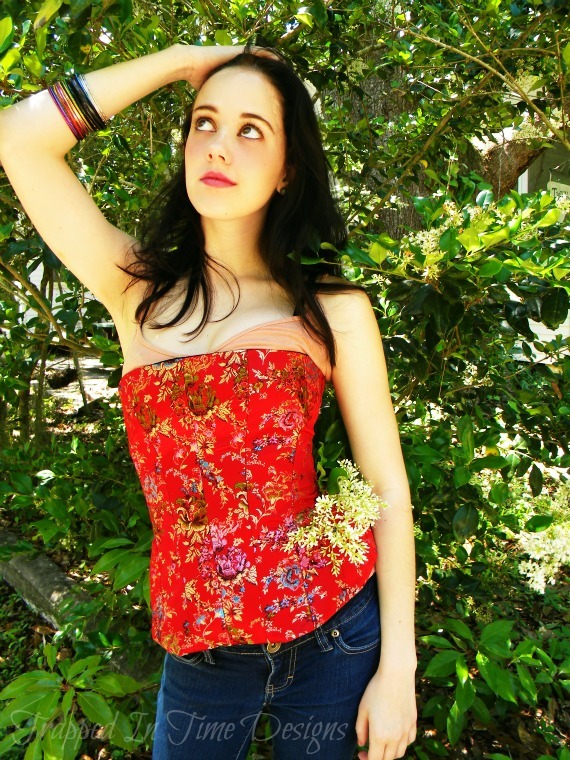 Made into a stunning bustier (which I loooooove). I’ve made these for a few years now. This is the last of the line, until I can magically acquire more fabric (fingers crossed). 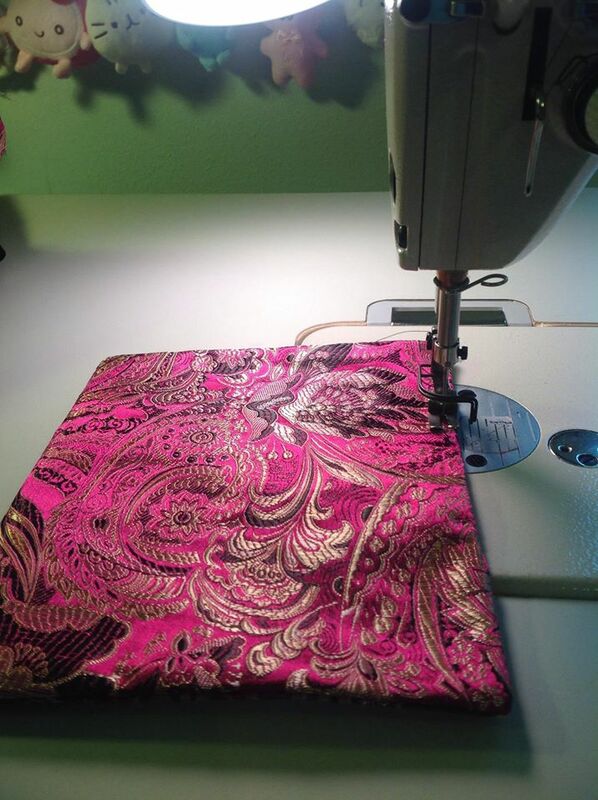 Flexible boning sewn into the lining. Grommets and a modesty panel in back. So pretty with formal as well as casual looks. So, as I mentioned in yesterday’s post, I found myself honored (and shocked) to be in the final 3 fashion designers of the year for RAW New Orleans this year! Coming as it did during the last of my Halloween rush, it’s all a bit of a blur to this day. Being a finalist meant putting together a 6-look mini-collection for the awards show, which was on November 14. 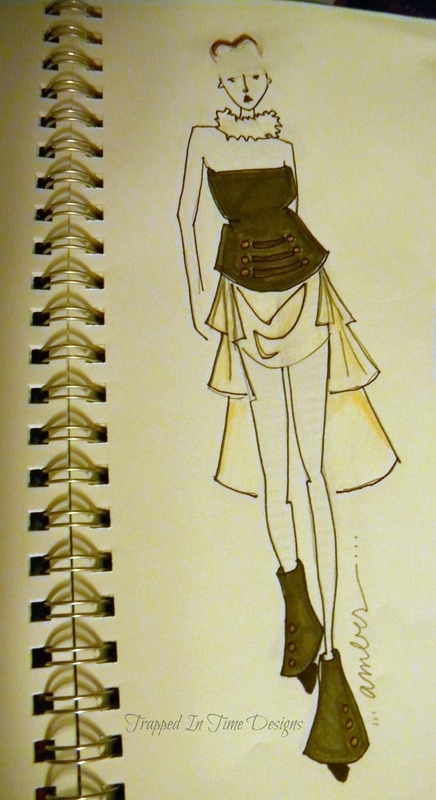 Military-influenced bustier, bustle, spats & a tattered lace collar. I originally envisioned a pompadour-mohawk for the hair, but later changed my mind since those pompadors are being used entirely too much lately. The spats ended up taking a hike, too, as I just couldn’t get the pattern quite right and needed to streamline things a bit (mainly for my own sanity). I was pretty obsessed with that bustle. 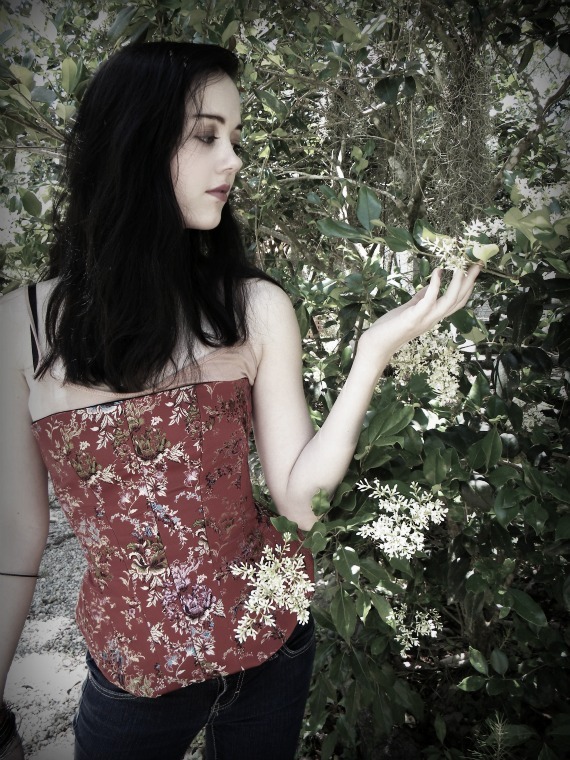 The bustier is reclaimed cotton (from mens khakis) with metal buttons and cotton twill trim, lined in cotton twill. 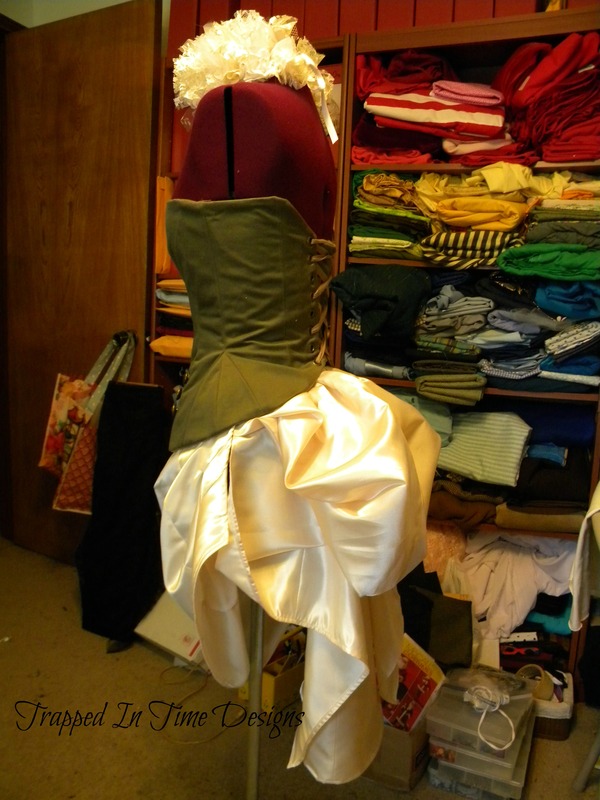 The bustier is cream taffeta. 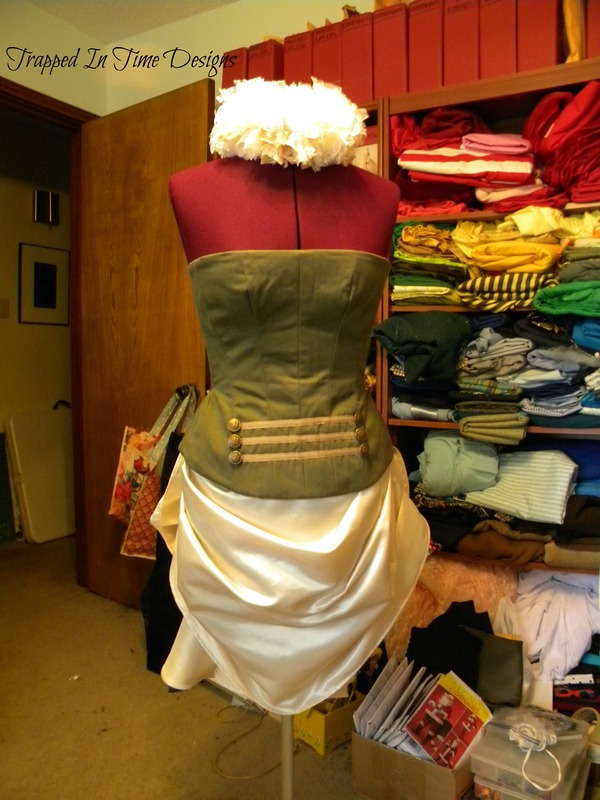 Since my model has legs for days, I decided to go with no skirt under the bustle–it opens at each side as she walks, so I did, for modesty’s sake, make a pair of ruffled boy-shorts to be worn underneath. I told my models to have fun with this show–why take fashion too seriously? The music was a remix of “In the Mood” and was perfect. I’ll have the bustle up at some point in the future. If you’re interested in ordering, contact me–remember, I primarily work custom/made to measure, so can make one in your size and color choice. this is my second favorite bustier of all time. Repurposed from a t-shirt. Fully lined in heavy cotton twill. Grommeted back. 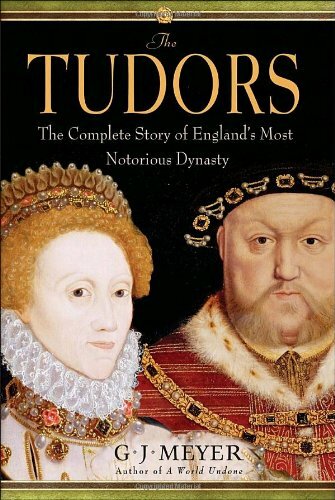 I won’t lie–it’s been in the shop for awhile. A few years, actually. I always wonder WHY. I just think it’s so cool. If it fit me, trust me, I’d keep it. 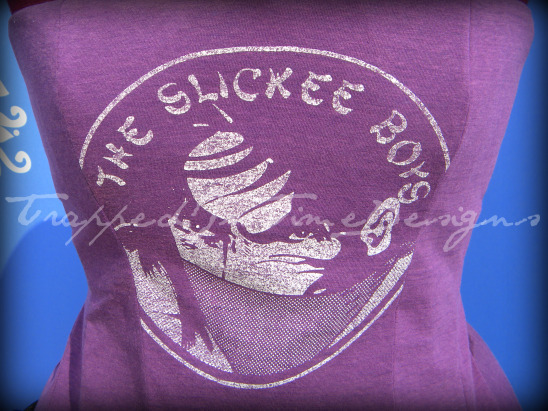 I really love that image, the color, the texture of a well-worn t-shirt…. TnT (Trapped In Time) Tuesday! Featuring recent additions to my etsy shop, and a bit of info on the items. Thought I’d try something new. 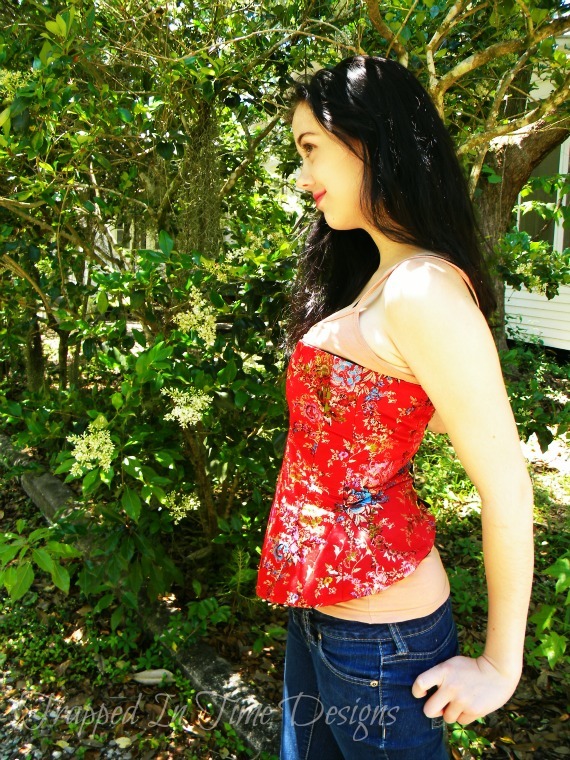 This is a beautiful red silk-blend floral brocade bustier that is a relatively recent addition to the shop (I’m still swamped with custom orders right now, so new items are on the back burner right now). It’s really quite beautiful in person. I do have a bit of a weakness for brocades, especially when it’s an Asian print. Modeled by the gorgeous Nancyjane (http://www.modelmayhem.com/2403245) and photographed by yours truly. Fully lined in black cotton twill for durability. 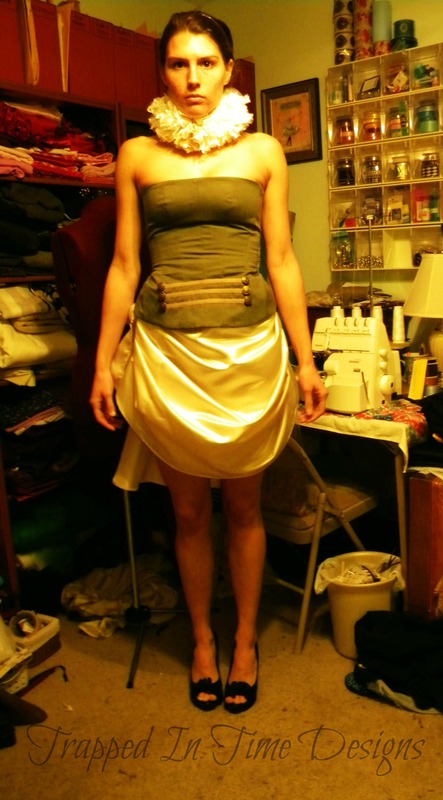 I sew flexible boning into the lining of all my bustiers. 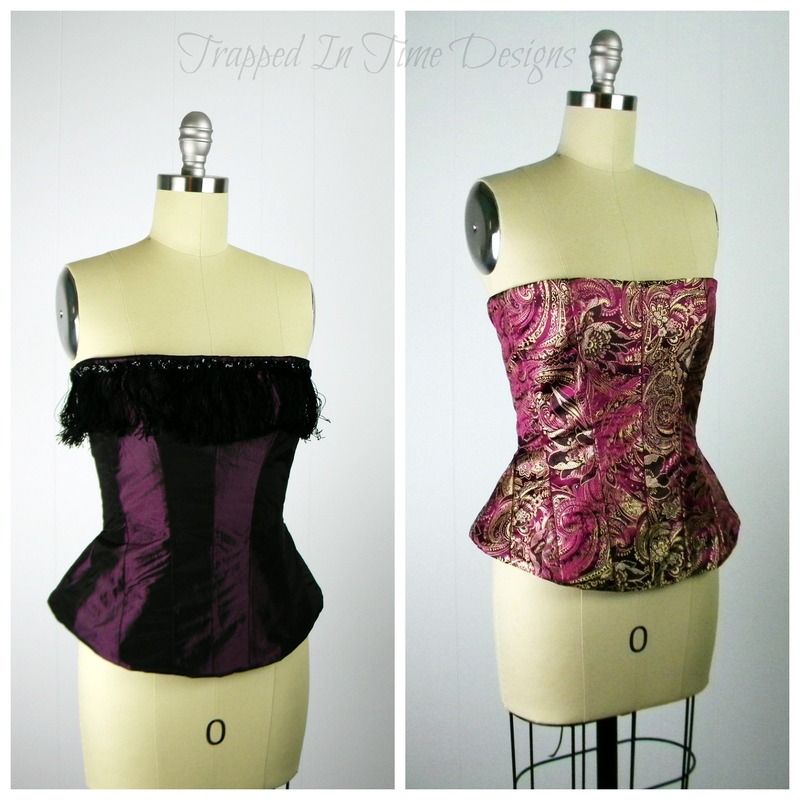 These are much more comfortable to wear than, say, a metal boned corset. You can wear one of these lovelies all day and not feel like you’re going to cough up your spleen. They’re made to be worn as a shirt. The look equally lovely alone or over a coordinating tank top (my favorite way to wear them).